Today I updated my Unreal Engine from 4.2.1 to the 4.4.0 version. 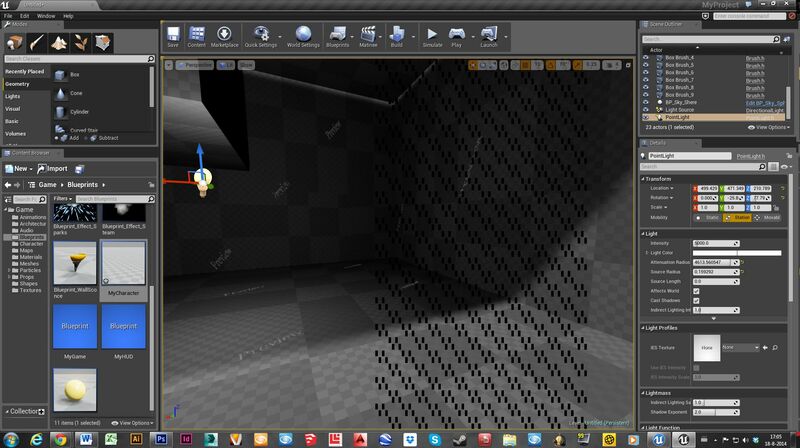 I am know experiencing a black flickering grid over my in-editor viewport after I start working in the scene. How can I solve this? It remembers me of old bug in Sketchup that also had this flickering, around that time it was caused by opengl issues, maybe that's also the case here? Does this occur in a blank project with no additional content? Does this occur in 4.2.1 for you? I just checked and it does also occur in de 4.2.1 version altough I cannot remember it occuring 3 weeks ago (before holiday), today was the first time again I started the Unreal Engine & downloaded the newest version. So far as I know nothing has changed to my system. If I open an old testproject in the 4.2.1 it is far less though / it seems more stable. In 4.4.0 it is occuring almost full-time, even if I don't move. Different field of black grid's are flickering in and out. Does this happen on a blank project with no additional content? 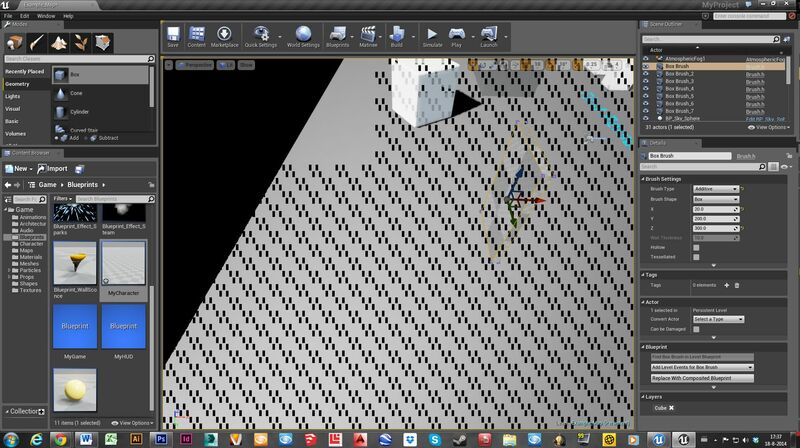 For instance, if you open up a new project>First Person Blueprint project does this still occur? Have you recently updated your video card drivers or are you on any beta video card drivers currently? No I have not yet updated my drivers in the last months, I can give this a try! I updated all my drivers via the AMD Catalyst control center, when I now open the file from the video the flickering is gone! I hope is is fixed, it does seem so! I am happy to hear that this fixed your graphics glitch. I will mark this question as answered for tracking purposes. If you experience this error again, please comment here and let me know. Have a great day! Memory leak caused by viewport rendering?